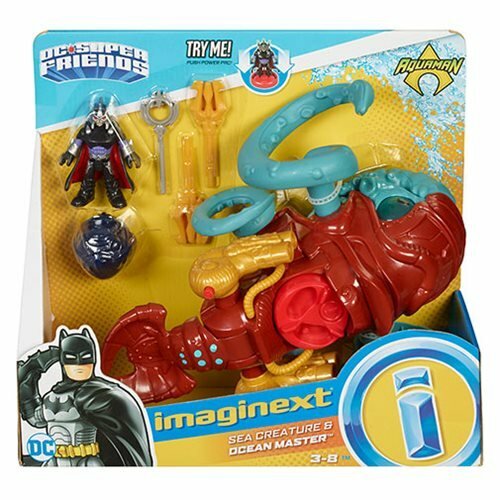 Fight for Atlantis with this Aquaman Imaginext Ocean Master and Creature Action Figure! Aquaman's evil half-brother, Ocean Master, has come to claim his throne and has brought reinforcements. 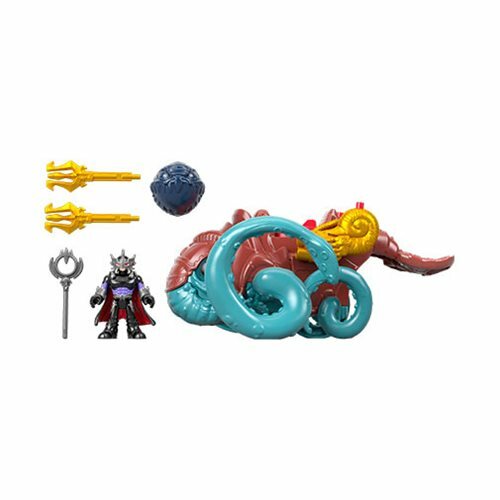 Ocean Master comes with his fully loaded sea creature which can launch boulders and tridents at the push of a button. Send the creature in action by rolling into battle and with a press of a button, watch the creature's eyes glow! Wage war for Atlantis with this Aquaman Imaginext Ocean Master and Creature Action Figure.